Moon (Chandra) White Pearl (Moti)..
Mars (Mangal) Red Coral (Moonga)..
Jupiter (Guru) Yellow Sapphire (Pukhraj)..
Saturn (Shani) Blue Sapphire (Neelam)..
We will show you which stone is suitable for you according to your lagan (ascendant) and the position of the planet associated with the stone in your Kundli (chart). We have also provided you with a chart that tells you what gemstone to wear based on your Nirayana Sun sign. We have also parted with information on the rituals believed to be necessary to purify the gemstone before wearing and the mantra associated with that gemstone. Before wearing a stone, we must know whether to wear the stone for an ill-placed planet or a well placed one? 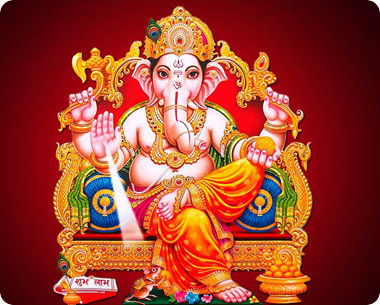 But we at AskGanesha.com study the horoscope thoroughly and do the necessary calculations up to the sub lord level (the further sub division of the Nakshatra) and arrive to the best conclusion for a individual horoscope. The stone must 'arouse' the qualities that a person needs to become success. Kindly opt our Gem Consultancy Report in order to know the actual Gem that is going to suit you ad give you happiness in every sphere of life.